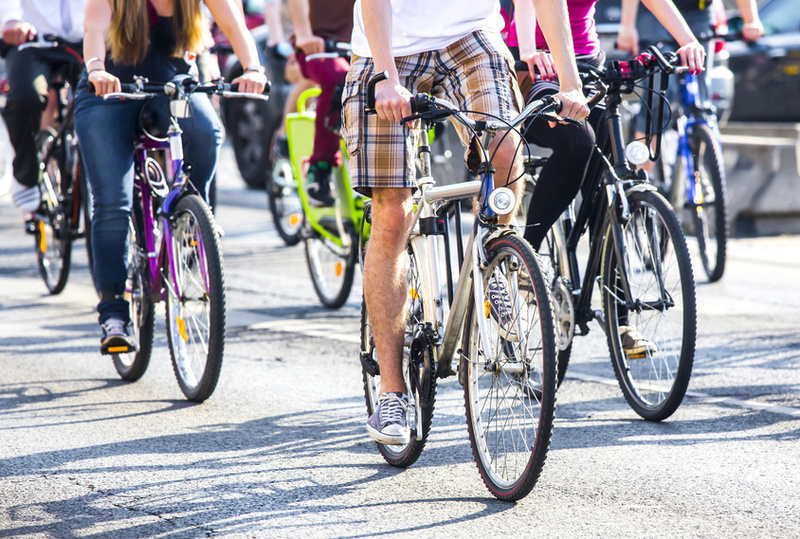 4 Best Ways to Avoid a Bicycle Accident | Pofah Law Firm, P.C. What Are The Best Ways To Avoid A Bicycle Accident? Bicycling is a great sport, a healthy pastime, and an economical form of transportation enjoyed by millions of people in the United States. Unfortunately, I have learned from my experience as a bicycle accident lawyer that accidents while riding a bicycle are far too common. Yet bicycling does not have to be dangerous. To avoid the situations that could result in an accident, I recommend that everyone who rides a bicycle should seriously review and consider the following safe riding tips. Traffic rules pertain to drivers, pedestrians, and bicyclists. One of the most important ways to avoid being hit by a car while riding a bicycle on the road is to know local traffic laws and follow them. For anyone riding a bicycle, this means yielding to all traffic signs and signals, riding in the direction of traffic, and signaling their intentions to warn others. Bicyclists should use arm signals so that drivers understand their intentions as to where they are going as well as look for signals on cars. One common cause of bicycle accidents that lead to injuries is failure to anticipate what cars on the road may do. As a bicycle accident lawyer, I advise my clients that cars turning, stopping, or changing lanes can become deadly for bicyclists who are not paying attention, do not anticipate such movements; and are unable to react properly when such action happens. This is especially important at intersections, where turning vehicles can accidentally run into bicycles riding alongside them or moving across the intersection. As a bicycle accident attorney, I have seen the devasting effects when bicyclists do not ride correctly on the roadways and offer the following advice to reduce these kinds of accidents. Avoid traveling on sidewalks. Use bike lanes where available or carefully ride along the right side of the road. If the lane is narrow, ride in the center and avoid riding too close to the curb. Do not weave in and out between parked cars. Instead, stay in the traffic lane where it is easier to maintain visibility at all times. Always avoid passing slower or stopped vehicles on the right; slow down or stop and wait for them to move. A leading cause of bicycle accidents that cause injured bicyclists to seek the assistance of a bicycle accident attorney is related to not being visible to surrounding vehicle traffic. Bicyclists are at a definite disadvantage when sharing the road with cars and trucks; a person riding a bicycle is smaller, slower, and less obvious than cars. Riders should always assume that drivers cannot see them and take necessary precautions to increase their visibility. This could include signaling, avoiding driver blind spots, avoiding pulling out in front of vehicles, never following too closely behind cars, and simply being attentive and alert to what drivers are doing. Bicyclists should always wear brightly colored clothing, along with reflective safety gear and install a blinking rear light to increase visibility. Even when carefully following all rules of the road, accidents can still happen. Following the above-referenced tips are the best suggestions I can offer for staying safe and reducing the chance of being involved in an accident. Pedestrians and bicycles do have the right of way; however, as an experienced bicycle accident attorney, I would agree that it is never a good idea to test that theory. Instead, I strongly urge bicyclists to ride defensively and leave little chance of finding yourself in a dangerous situation!